These gloves are constructed out of synthetic leather, spandex, and neoprene. These gloves have a hook and loop closure on the wrist to assure a good fit. 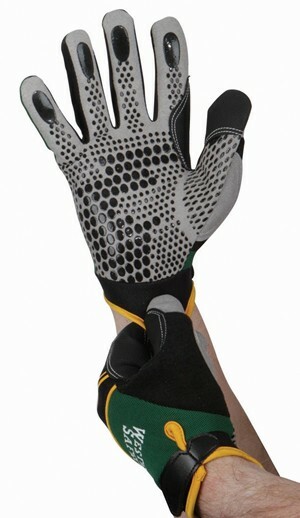 The glove has a spandex back with a neoprene knuckle for maximum flexibility. These gloves have silicone dots to assist you with gripping items. Danger, Construction Area, Download - 8"x10"